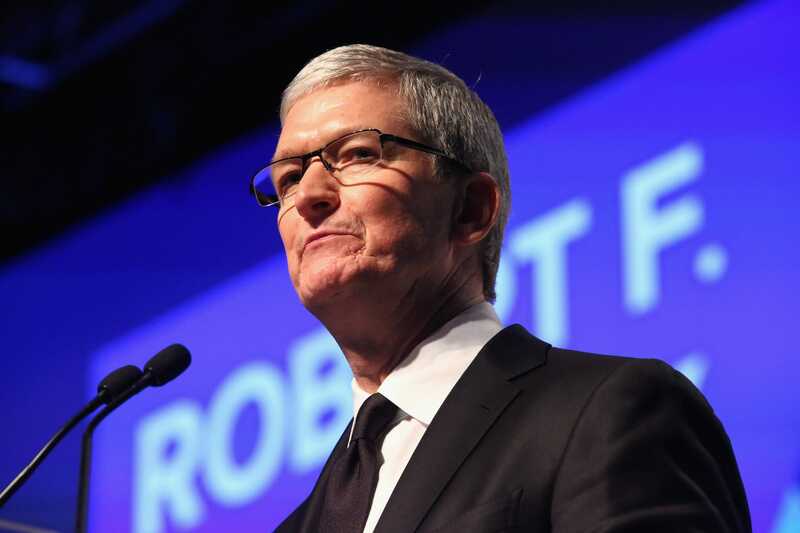 Astrid Stawiarz/GettyApple CEO Tim Cook is calling for new government privacy regulations. Tim Cook, Apple’s CEO, is calling for new privacy regulations. Cook touted Apple’s restraint in terms of collecting information on its users and said he couldn’t “imagine” one of his successors steering the company in a different direction when it comes to user privacy. Despite advocating for new regulations, Cook, who has repeatedly advocated new privacy rules this year, expressed doubt whether Congress is as up to speed on technology as it would need to be to craft beneficial legislation in the area. The technology “literacy” of legislators and their staffs is “a challenge,” he said. “There is a need to work with Congress and the staff to make sure that we do our jobs of helping them kind of come up to speed on… on what’s possible,” he said. Consumer advocates, policy makers, and tech industry figures have been increasingly discussing the need for new privacy regulations, particularly in the wake of Facebook’s Cambridge Analytica scandal this spring. In that incident, some 87 million customer records were leaked to a data analysis firm linked to President Donald Trump. More recently, Facebook acknowledged that at least 50 million accounts were compromised thanks to a security hole. Apple and Cook have repeatedly tried to distinguish the company from its Big Tech peers such as Facebook and Google. Unlike those companies, Apple’s business isn’t built around advertising revenue or collecting scads of data on its users to target them with ads. Apple actually tries to limit the amount of information it collects on users, Cook said. Some in the industry have asserted that Apple’s restraint in data collection will ultimately hurt the company’s ability to compete with its rivals, particularly in areas such as artificial intelligence and machine learning. Those technologies tend to improve as they get access to more data. An intelligent assistant, for example, could potentially offer more useful suggestions about what restaurant a user might like if it had more information about what restaurants they have liked in the past. But Cook disputed the notion that Apple itself needs to collect more data on users to improve it services, suggesting instead that users’ devices could collect it instead – without sharing it with the company. Some consumer advocates have raised the concern that while Apple may respect user privacy now, things could change under Cook’s successors. Users’ iPhones collect plenty of data and the company at some point in the future could choose to start collecting it for itself. But Cook disputed that notion too, saying it would go against Apple’s culture.